It appears the political left are having trouble embedding a false narrative or else they wouldn’t need to expend so much energy attempting to deceive their audience. To fully grasp the level of political obfuscation and lying inherent within this interview it helps to understand and absorb the prior reference articles: HERE and HERE. Represenative Adam Schiff is the vice-chair of the House Intelligence Committee and as a consequence of his position he is a member of the Intelligence Oversight Gang of Eight. ♦ Adam Schiff can go and look at any information Chairman Devin Nunes has already reviewed. ♦ Adam Schiff does not want to see the intelligence because he would be unable to keep lying about it. ♦ Devin Nunes cannot share the Go8 level intelligence with the full committee because the committee is not authorized to see it; only Adam Schiff can. I know it can be a frustrating exercise to force yourself to watch the liars; however, sometimes the only way to break the cycle of abuse is to look the abuser directly in the eye as they hit you with their fist – and don’t flinch. Nothing scares those who depend on falsehood more than a person who will not accept their false assertions and challenges them with truthful knowledge. That’s where your self-empowerment comes in. People often ask me: what can I do? Well, we defeat the swamp, and further support our President, by being intellectually armed to engage in cognitive combat. We then take the truth to our friends, family and neighbors and we help others to cut through the fog of fake news. We succeeded in 2016. We can succeed again. So long as Devin Nunes stands firm and also doesn’t flinch in the face of his political opponents, he too will win. Nunes will win because the truth is on his side, he only needs assistance in letting it out.
.@AdamSchiffCA Why are you refusing to go to the EEOB and look at the executive intelligence product that Nunes reviewed?
. @AdamSchiffCA We are aware the Go8 level of intelligence CANNOT be shared with the full House Committee. Why are you lying? This entry was posted in Big Government, Big Stupid Government, CIA, Cold Anger, Decepticons, Deep State, Dem Hypocrisy, Dept Of Justice, Legislation, media bias, Mike pence, Mitch McConnell, President Trump, Professional Idiots, propaganda, Uncategorized, White House Coverup. Bookmark the permalink. Did everybody pick up from the Blitzer interview that Dems don’t want Comey to go on the record in closed hearing BEFORE the open hearing testimony of Clapper, Brennan et al?? Dems obviously want Comey to hear OPEN HEARING testimony before he testifies in closed session. What I wouldn’t give to be Devin Nunes now? Schiff (for Brains) won’t sign the request to get Comey to testify. (Useless Ptece of) Schiff refuses to view the classified Documents Nunex referred to. (Full of) Schiff says Nunes refuses to share the classified docs that he is not allowed to share (the same ones that Schiff refuses to go look at). (Lying Piece of) Schiff continues to say he has seen evidence of Trump collusion with Russia, although he won’t say what that evidence is. He’s going to Schiff his pants when the entire truth is exposed. Schiff’s role is to ensure the TRUTH never sees the light of day. He is the deceiver. Lord please give him the strength & backbone ..
SD thank you so much for this article and as hard as it was, listening to that liar for 15 minutes. I guess old Sally is being portrayed as the hero since they are chomping at the bits to get her to testify. That woman is so lawyered up that she will take the 5th on multiple occasions. Sally is a small player in this. She is the only one that remained on after the inauguration. The giant fish are Clapper and Brennan. They have absolutely no cover for either of them. There is no request that can be made to the WH for privilege. They also know about the WH SCIF and the fact that each agency is comparmentalized. DNI Coates was smart to give Nunes cover by stopping the NSA from sharing more information. In doing so, these fools don’t know what Nunes knows and may ask at the hearing. Sure people like Shifty can go on tv and give his side of the story. SD is dead on that in order for him to remain dumb and accuse Nunes and the WH, he can’t see the information. This is as high stakes as we can imagine. They need to get Comey on record to continue to purge himself. They need to do it behind closed doors so that the 3 amigos are not aware of what was said. The ultimate wildcard in all of this is our LION! The fact that he used a nuclear bomb earlier this month on Obozo has got them scared out of their minds. If he was willing to take out the top dog, the rest of them would be eaten as a snack. He is allowing this to play itself out perfectly. I hope that Nunes waits until after the Easter break. My biggest reason is that Barry from Hawaii won’t dare show his face in the US. He longer he is away, the better for us. Our President s using all this time to move his agenda along beautifully. Gorsuch will be appointed to the SC on the 7th of April. President el-Sisi will have his day at the WH on Monday. That will put us one step closer to peace in that section of the ME (Israel and Palestin). Next weekend the President of China will be hemeeting with our President on Friday and over the weekend in Mar Lago. Those discussions will go a long way to helping us deal with the real threat in NK as well as our trading relationship with China. Notice that Barry’s bozos’ haven’t been protesting in the streets. The Dakota pipeline has been completed and ready to have oil flow through their pipes. No protests to be seen. Yesterday’s EO has thrown the SJW into a tantrum. Amazingly not a single protest in the streets. This isn’t happening by accident. I admire all the fellow Treepers in our Treehouse. I hope you can see that by being patient, we are WINNING Bigly! Our Lion is getting us closer and closer to MAGA. You’re spot on about the protests, more proof that they’re nothing but coordinated chess moves and not a real representation of what the country feels. 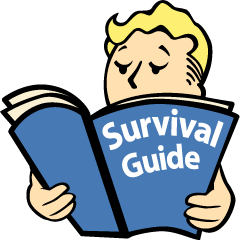 Terrific strategic and tactical assessment with specifics – as always, fleporeblog! About the protests – may not be gone, may just not be being covered. I talked to a state legislator a week or so ago and he said the protesters were at the state capitol EVERY DAY yelling and screaming. It was driving him nuts. I said, I haven’t heard about that. He said, press was getting bored. I thought, either the protests were causing even our very blue state to get angry at the “protesters,” thus the effort was backfiring, or the money was being cut off. Or BOTH. You don’t need nearly as many people at the confined area of the state capitol as you do on the streets of our major city. Also, the Big Press is in the major city, not the capital city. Anybody else out there have a field report from your state? Much heartened reading your posts. I wonder if Tahiti has an extradition treaty with the US. Not the least bit concerned …. PDJT has this. These people against us are going down, watch, listen……… We shall have our country back. This sh*t is better than Game of Thrones. While all these are going on, keep in mind Lynch’s call for “marching, blood and death” right after POTUS’s “Bad/Sick” tweet. They are unlikely to go down quietly if the uncovering ever reaches that point. The other day I was thinking about the whole situation and concluded that Trump did not “beat” anyone or anything Nov 8. At best he gave them a jab and put them on their heels. He needs to use the initiative and momentum or they’re going to regroup and overwhelm his positions. We’re dealing with a swamp that has NO limits on their depravity. I wish he would give us specific guidance on what we can do to best help him. President Trump has the full force of the entire Federal Government (Administration and Departments) mobilizing and now winning. He has them moving so fast, on multiple fronts that are expanding daily, that he’s wearing the media out and driving Congress nuts as they try to do two things at once: their jobs (as he piles up their backlogs to prove they do NOTHING) and their obstruction (when they’ve barely been briefed on one thing he’s done before he’s announcing another). They can’t keep up, much less mount the sustained attacks need to thwart his progress. What a freakin’ LIAR Schiff is…having TS/SCI and being “read on” to SAPs he can go into the same locale as Nunes and view this reporting…Being in this community I was so ticked watching what a complete moron this guy is and “playing politics” with our security and thinking he’s funny and cute. 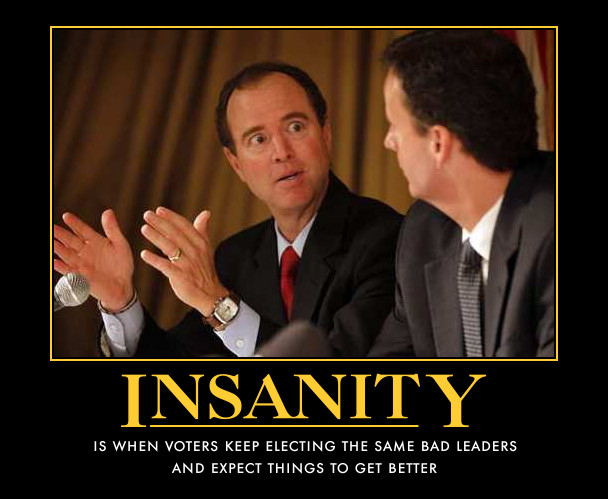 Schiff has always been an idiot in my book and lacks the seriousness it takes to be on an Intelligence Committee. For the millionth time, intelligence should NEVER be about R’s or D’s!!! We live in a serious world and you can thank Choom Gang Barry and HRC and her philanderer for turning serious matters into a joke! Months before the election, Adam Schiff and Mike McFaul started giving interviews to the Fake News outlets, spreading lies and basically doing the same damn thing that the Dems accused Russia of doing. Speading fake stories about a candidate to sway an election. Schiff even praises his buddy McFaul on an article he wrote about how the US can counter Russia’s growing influence. In his article he talks about funding Democrats in countries, but not by check, no that looks bad, so it should be done by private foundations. Sounds to me like McFaul and Schiff want to do exactly what they are accusing Putin of doing. (Click on the tweet to read the article). Beady eyed freak is crooked! This guy Schiff is a sick man. So can someone please explain to me how these Gang of 8 traitors got on the Intel Committee, and if there is any way to get them off of it? Who chooses the membership of this committee? Is it a job for life, or what? Right now, it seems like there is am impasse here, the Democrats are still babbling about Russia, Russia, Russia, and nobody is calling them on their total lies, other than The President himself in his tweets. The so-called Intel Committees, House or Senate, are going to find exactly nothing, and take a long time to not do it, while time ticks away, being the useless cretins they are. And the Republicans are looking like the most incompetent bunch of losers who ever held a majority, Trey Gowdy, Nunes, a few others excepted, but only a handful at best. No doubt Pres. Trump will be totally vindicated, but the time frame for that is stretching out to infinity, at the rate things are going now. Meanwhile, all this garbage is highly damaging to his Presidency, and causes the RINO Republicans to think they can just ignore the President now, witness the trial ballon they floated about not funding the wall to buy some “favors” from Democrats. I’d use them, but I’d just get banned from Twitter, again. How utterly overwhelming. I read and watch as much “information” from as many sources as I can consume in between doing my job and taking care of my family. As a Christian who attempts to live a righteous life where the lines between right and wrong are fairly obvious, it is more than bewildering to try to square all the lies, obfuscation and misdirection our “leaders” engage in with reality. I consider myself fairly informed on political things, but in the last month I feel so very lost in the weeds – can you imagine how the uninformed view all this? I don’t know which way is up sometimes. THIS is exactly why good people are disgusted by modern politics… I appreciate so much the Treehouse, it has kept me sane, but it is so far into “game of thrones” BS that I’m having a hard time even accepting the legitimacy of our government. At present our government is NOT legitimate and has not been since 1913 Federal Reserve Act, FDR’s New Deal** and Citizens United v. Federal Election Commission (2010) among many other anti-Constitution moves. ** FDR was president in the 1930s. Pascal Lamy, French socialist, EU big wig and former director-general of the World Trade Organization let the cat out of the bag. Lamy is quite blunt in stating national sovereignty is passe. Lamy indicates that an European Union like super state is the goal. That also explains the EUs grab for the Ukraine leading to the whole ‘Russia is bad ‘ mess and why Trump is so hated. Schiff: Lots of rapid blinking and swallowing. Clearly lying. Mr. Nunez, get yourself some 24/7 protection, pronto. It’s a long way to the post-Easter recess. So, who should we get to tell the surely beautiful Red-Haired-Mary that it is time to GET OFF THE BEACH…! Just call him Shifty, because that’s what he is! You can’t go wrong if you use this yardstick when measuring what he says: Anything a democrat says is a lie! Believe it! Looks like the Schiff hit the fan……love it! Schiff just left the SCIF give statement about the process, not the substance. Schiff got a bonus ten minute “cordial ” meeting in the Oval Office before heading out!